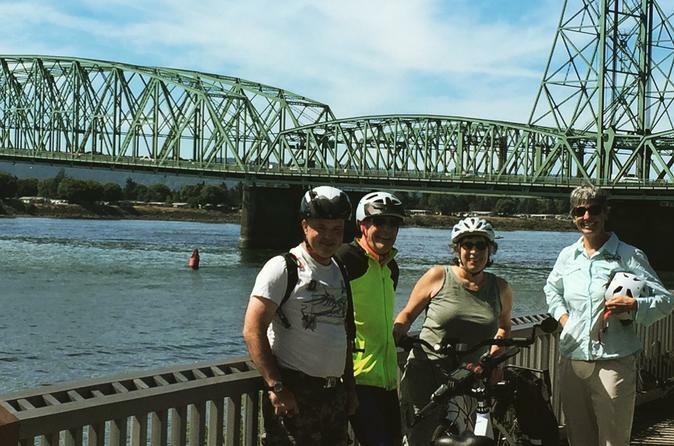 On this private tour you and your guide will explore Portland like a Portlander - on a bicycle! Your guide is a former city spokesperson who knows her way in and around Portland’s neighborhoods, top attractions, cultural hotspots, must-visit food carts, and sites that make the town buzz. Along the 3-hour long route you will learn informative information about Portland and its history as well as visit some of our most famous attractions: rose gardens, historic homes, wall murals and public art, wildlife areas, stunning views, food carts, tiny houses, donut shops, and "Keep Portland Weird" sightings! BIKE, HELMET, AND LOCK : NOT INCLUDED! The price is approximately $35 extra for the rental. The price can vary if you want to rent it for a longer period of time (1-3 days, etc.). Tours will begin and end at a local bike shop and instructions will be provided upon booking. Explore Portland like a Portlander - on a bicycle! Don’t let the hills, distance, or fitness discourage you from exploring. Pedal-assisted cruisers conserve your energy so you can enjoy your time in the city. These eBikes will take you up to 50 miles on a single charge, so you can discover the must-see Portland locations without breaking a sweat. Tours begin and end at the bike store, where you will be fitted with a bike and helmet. I will give a thorough safety briefing and practice before we ride. Tours last approximately 2.5 hours and include stops for photos, water and snack breaks, as well as sightseeing. Please let us know in advance if you have any special requests!